The twin battles of Jena and Auerstedt are fought – in the midst of the collapse of the Prussian State and abolition of the Holy Roman Empire by Kaiser Franz II – under pressure from Napoleon Bonaparte. The Liberation Wars (and the decisive Battle of Leipzig in 1913) were between Napoleon Bonaparte’s French troops and Central Europe; Napoleon is overthrown. 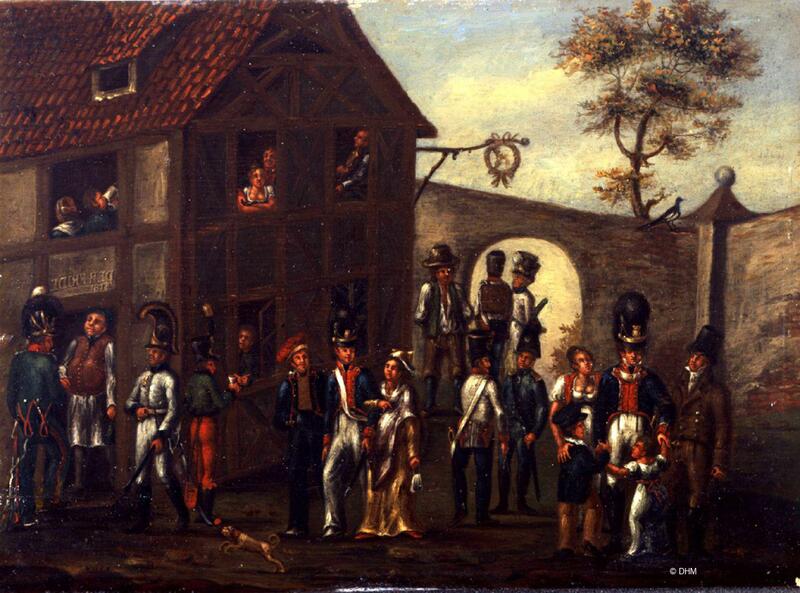 The Wiener Kongress (Congress of Vienna) saw the restoration of the political state (the 1792 Ancien Régime), realignment of the borders, and creation of a loosely arranged German Bund (Federation). The Karlsbader Beschlüsse (Carlsbad Decrees) was intended to suppress liberal and national movements through censorship of the press and political persecution. The War between Greece and the Ottoman Empire concludes with Greece attaining its independence with the help of Russia and the Western nations. 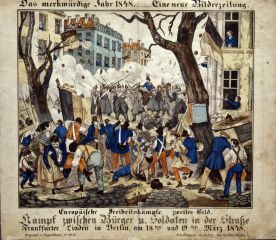 Stimulated by the French July Revolution, the Vormärz (pre-March) Revolution refers to the formation of political programmes and factional movements. From 27 to 30 May an apparently non-political country fair, the “Hambacher Fest”, was held by a German national democratic assembly, demanding freedom, national entity and popular sovereignty. Establishment of the first parliament in German history (at the Paulskirche, Frankfurt am Main), and elaboration of the German Imperial Constitution. 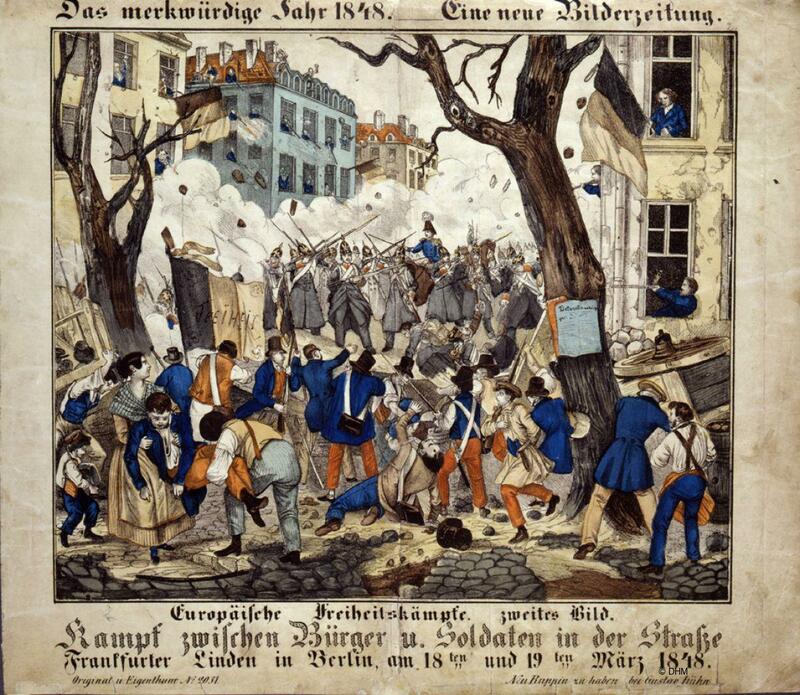 The Pre-March Revolution involves a series of protests, gatherings and disturbances, but by July 1849 the Bundes troops are victorious and the revolution fails.